Great collectable investment. 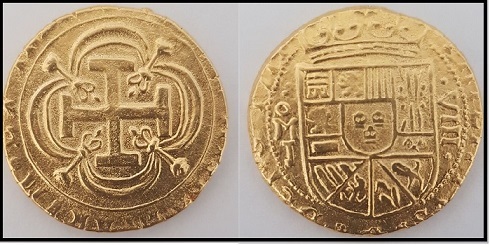 Originally from the Mexican mint. Pirate treasure bound for Spain in 1715 which never arrived due to shipwrecks and piracy. 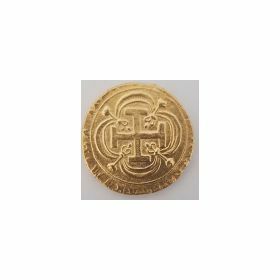 This beautiful copy of an original shipwrecked coin is a wonderful collectable as a stockpile of GOLD or as great gifts and presents to give to loved ones. 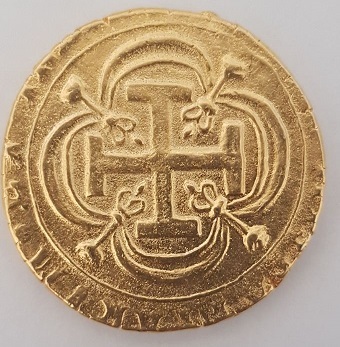 Comes with a Title Nobilis Limited edition numbered Certificate of authenticity genuine 9ct solid gold Coin made exclusively for Title Nobilis members only. You are allowed to cross most borders with gold coins without duty. Always check before you travel.